The Seeds of a New Investment in Cities? Now is the time to reinvent American cities, says Nicolai Ourousoff recently in the New York Times. The country has fallen on hard times, but those of us who love cities know we have been living in the dark ages for a while now. We know that turning things around will take more than just pouring money into shovel-ready projects, regardless of how they might boost the economy. Windmills won’t do it either. We long for a bold urban vision. With their crowded neighborhoods and web of public services, cities are not only invaluable cultural incubators; they are also vastly more efficient than suburbs. But for years they have been neglected, and in many cases forcibly harmed, by policies that favored sprawl over density and conformity over difference. The article goes on to suggest initiatives in New Orleans, Los Angeles, the Bronx and Buffalo, and the solutions laid out are physical in nature, concentrating much on parks as environmental and economic investments. 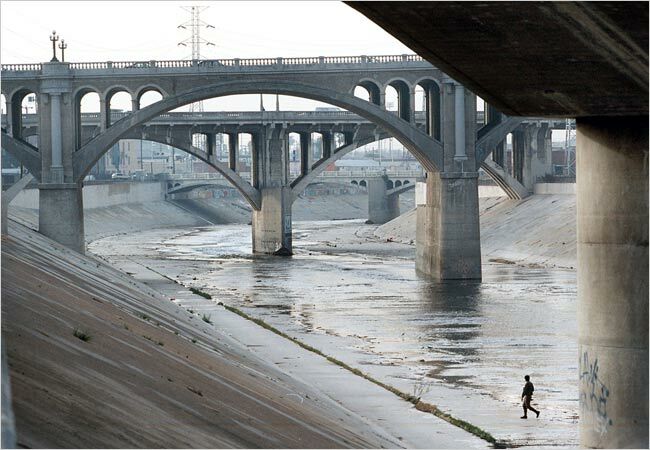 This includes reinventing the LA River as a strip of green that unites instead of divides demographically distinct neighborhoods, reinvigorating Buffalo’s parks and reconnecting it to its lakefront, and re-envisioning New Orleans through new natural and public spaces. Getting the projects I’ve described off the ground is not as impossible as it may seem. Only last week the federal Departments of Transportation and Housing and Urban Development announced the creation of an urban task force that would promote the development of sustainable communities linked to public transportation — a small but encouraging step in advancing a more integrated approach to urban growth. In September the White House and Congress will also have a rare opportunity to rethink the antiquated transportation authorization bill, which comes up for review once every six years and funnels hundreds of billions of dollars each year into highway construction and repairs. We may be seeing the seeds of a new urban policy being planted. How they will grow we don’t quite know.